Making scones is the one baking activity I wish I started sooner. They are incredible easy to make with a short cook time and you don't even need eggs! 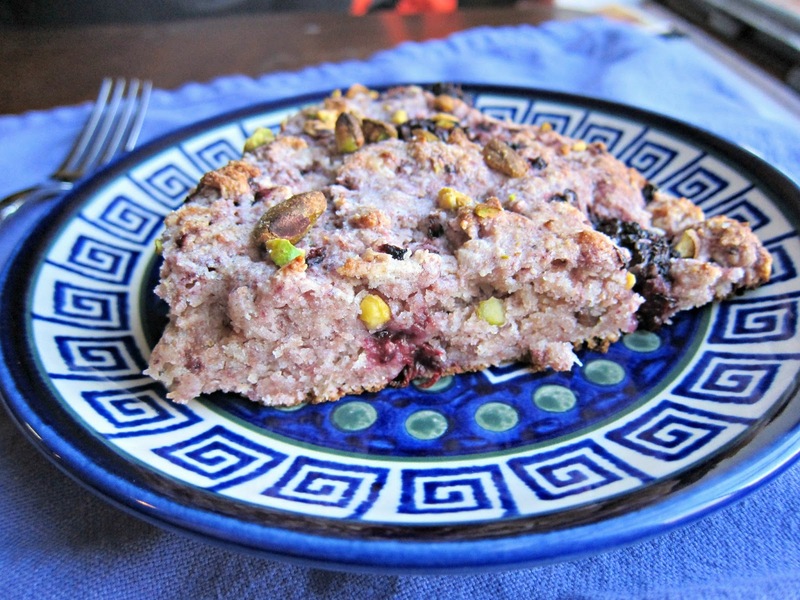 Inspired by 101 Cookbooks, these scones got pistachios and spelt flour added in. This pistachios added a lovely buttery-salty crunch. The one change I'd make is to add more berries next time. Really, you can never have enough blackberries! Cheeeers (British voice) to scones! In a large bowl, mix flours, baking power, sugar and salt together. Cut butter into small pieces and work it into the flour mixture with fingertips until the mixtures resembles course meal (or use pastry blender if you have one). Stir in blackberries. Stir in ricotta and heavy cream to the butter mixture to form a dough. Then use your hands to knead into a ball - the berries will get muddled a little, but it turns your dough into a pretty purple color. Transfer the dough onto a floured surface and pat into an oval shaped disk about 1 inch high. Transfer the disk into your baking sheet and score six scones with a knife. Sprinkle some sugar on top if you like. Bake for 15 minutes, until golden on edges. Cool on the pan a couple of minutes before eating. And cheers to your wonderful creation Anna! They look amazing! I gotta get my scone back on as its been awhile for me. 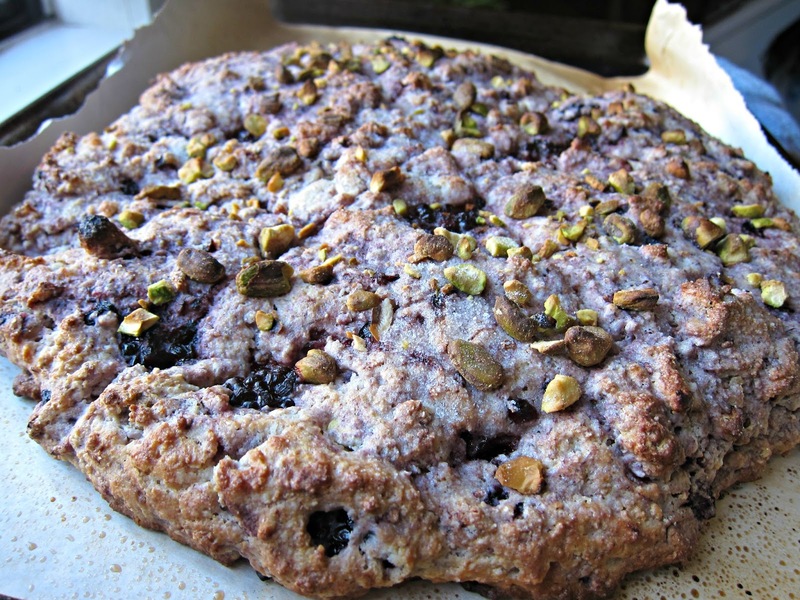 I love a great scone with great flavors like this! Getting excellent locks could be difficult to attain. brazilian hair sale There are plenty of numerous points to consider with regards to locks. This content beneath provides you with ideas concerning the perfect method to take care of flowing hair. brazilian hair uk Wholesome locks originates from the entire body that's wholesome. Consuming the well-balanced diet plan along with fruit, veggies, advantageous fat as well as slim healthy proteins truly assists flowing hair remain wholesome as well as powerful. brazilian hair In no way clean moist locks as it might trigger harm that's difficult to correct. Moist locks is actually much softer and much more very easily broken compared to dried out locks. To reduce harm, possibly clean flowing hair before you decide to bath, possibly prior to your own bath or even following this drys once again. Make use of the ideas in the following paragraphs to see quick as well as excellent outcomes which will definitely make an impression on your family and friends.